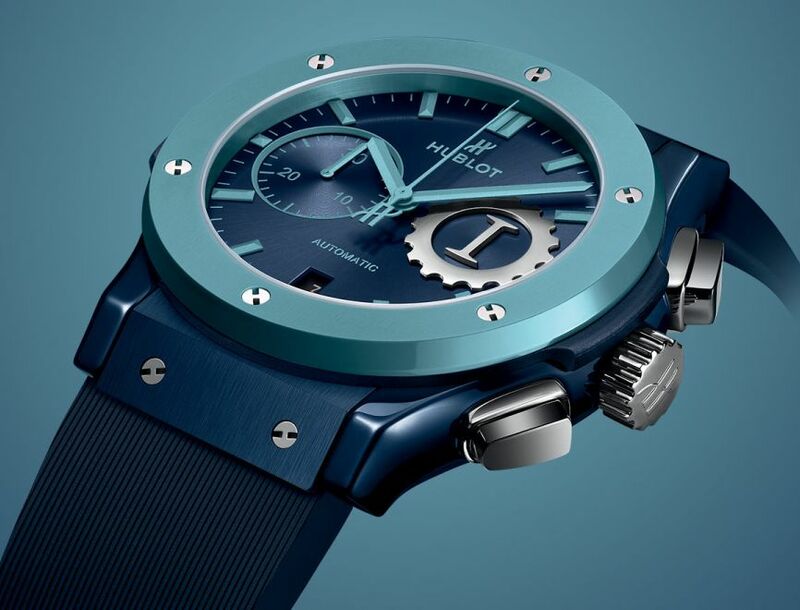 A new artistic collaboration between Garage Italia and Hublot, with no shortage of projects for the future, and the first of a three-part concept entitled "Sky, Earth, Sea". "The conquest of the infinite Sky, Earth and Sea... the ultimate adventurer's dream is brought to life in Lapo Elkann's workshop. Perfectly interpreting Garage Italia's codes to make them our own is a principle that underpins all of our developments, and none more so than this one. 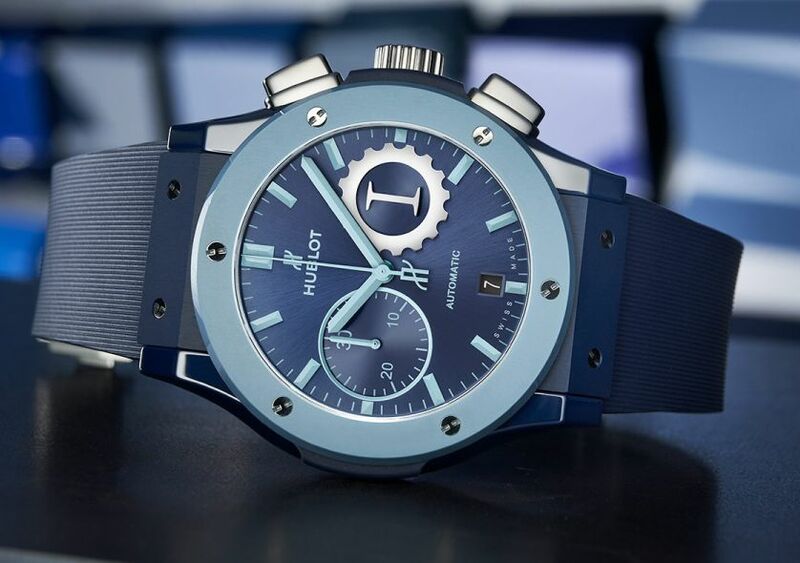 The bezel in sky blue ceramic is an exclusive marker of this approach" said Ricardo Guadalupe, CEO of Hublot. "Garage Italia marries traditional expertise with Italian excellence in a contemporary style which is often ground-breaking my vision of la Dolce Vita. Pushing the limits of possibility a freedom and a mindset that align us with Hublot" said Lapo Elkann, Founder and Artistic Director of Garage Italia. The case, in polished and satin-finished light and dark blue ceramic, measures 45mm. It has an AR-coated sapphire crystal and it is water resistant to 50 meters. Polished navy blue ceramic caseback and polished and satin-finished sky blue ceramic bezel. Movement is the Swiss automatic Hublot in-house caliber HUB1143 Unico with 59 jewels, 28,800 vph and a power reserve of 42 hours. Flyback chronograph movement with column wheel. 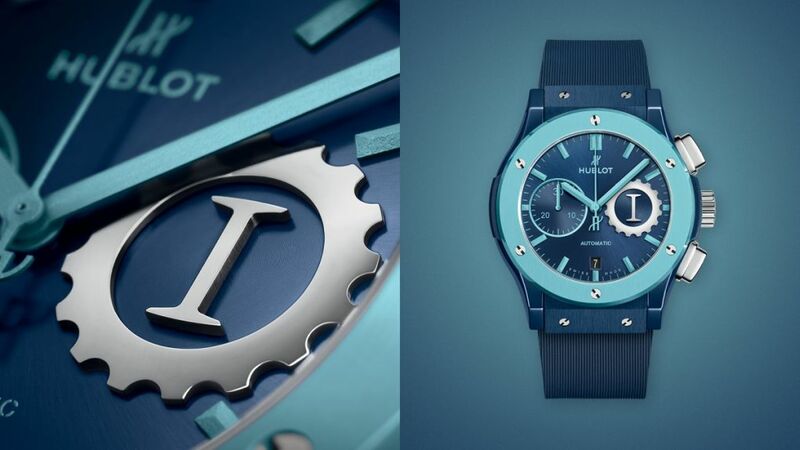 It has a satin-finished blue dial with Italia Independent logo at 3 o'clock and sky blue hands. It comes on a navy blue striated rubber strap with a titanium deployant buckle.